Looking to replace or upgrade your rigs steering? 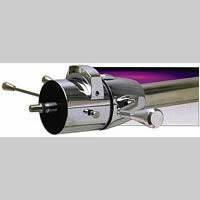 From heavy duty tie rods to full hydro steering we will get you going in the right direction. 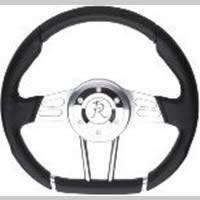 Description: A new unique "D" shape steering wheel maximizes driver clearance with a sporty, elegant look. Genuine Italian Leather, polished and satin finished billet aluminum. 13" diameter. 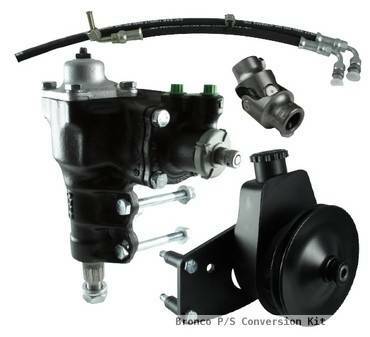 Description: Heavy Duty Power Steering Conversion for 66-77 Ford Bronco. 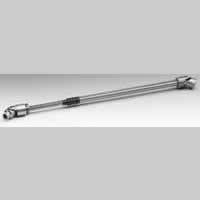 Description: DANA 44 flat arm with GM taper and 10 degrees of correction where the tie rod goes through. 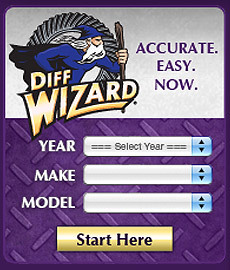 Description: This kit features high/low beams or "flash to pass", a 40 amp circuit breaker and is strong enough for 2 to 4 headlights. Comes complete with lever and relay pack. The dimmer lever can replace either your tilt or turn signal lever. Description: SUPER ARM is 1.5" thick, CNC machined, raised arm with 10 degrees of correction for the tie rod end.